Fort Pierce, located in St. Lucie County on Florida’s Treasure Coast, is also known as the “Sunrise City” and considered the sister city of San Francisco, California, called the “Sunset City.” With a population of 41,590, Fort Pierce has an intimate community feel. Its downtown district has retained its old Florida charm, and the historic waterfront offers a range of entertainments, activities, dining options, and shopping. 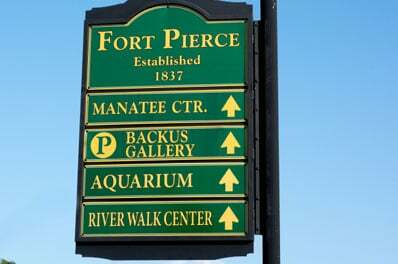 Fort Pierce is also known for its educational and research facilities. All Points Mobile Shredding has been proudly serving Fort Pierce since 1994 with on-site document shredding services. In 2013, we began offering medical waste services to Fort Pierce through All Points Medical Waste. We keep our clients safe and secure, and offer amazing customer service with competitive rates. In fact, it’s our mission! All Points Medical Waste is a woman-owned and operated business offering a full line of medical waste disposal and compliance training services to our clients, ranging from small to mid-size waste generators. If you are interested in All Points Medical Waste services in Fort Pierce, please contact us by phone or complete the form on this page.